LONDON – This week Prime Minister Theresa May received the backing of Britain’s European allies after the poisoning of Sergei Skripal and his daughter Yulia in Salisbury. European Council President, Donald Tusk, was one of the first to offer his “full solidarity” to the UK and said he would make the attack a talking point at next week’s Council summit in Brussels. As a result campaigners against Brexit have started to raise questions about whether Britain will be as capable of combatting Russian aggression after it leaves the European Union. Research conducted by the campaign group Open Britain and given to Business Insider highlights how May’s government’s most senior ministers have previously argued that Britain is safer from hostile states like Vladimir Putin’s Russia while inside the EU. 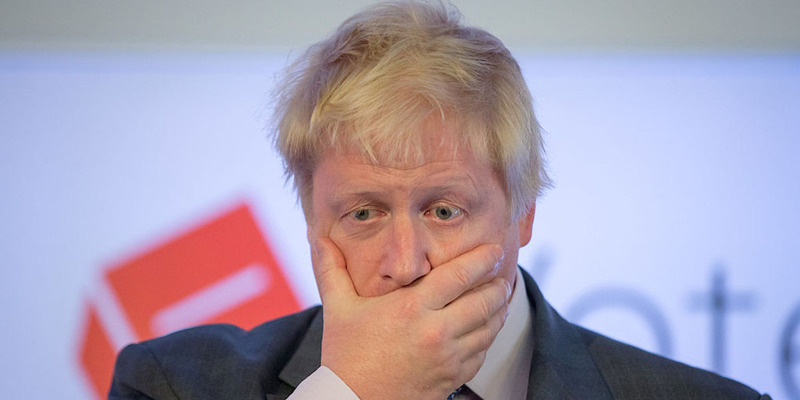 In an unpublished column backing Britain to stay in the EU, foreign secretary and Leave campaigner Boris Johnson warned that leaving the bloc would empower Putin to be more aggressive on the world stage. In 2016, Minister for the Cabinet Office, David Lidington, emphasised the impact EU sanctions have had on Russia. Four years earlier, he said that the EU had “unique selling points” for dealing with foreign aggressors which other international bodies, including NATO, do not possess. In the run-up to the 2016 referendum, Home Secretary Amber Rudd suggested that the EU possessed a level of power to combat Russia that the UK alone did not. 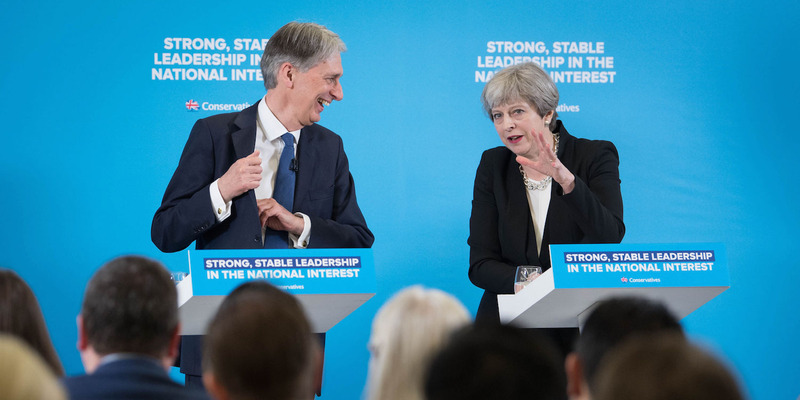 Stefan Rousseau/PA Wire/PA ImagesConservative party leader Theresa May and Chancellor Philip Hammond take questions during a general election campaign event in East London. In a speech during the referendum campaign she also suggested Brexit would leave Britain more vulnerable to international crime and terrorism. “My judgement, as Home Secretary, is that remaining a member of the European Union means we will be more secure from crime and terrorism,” she said.